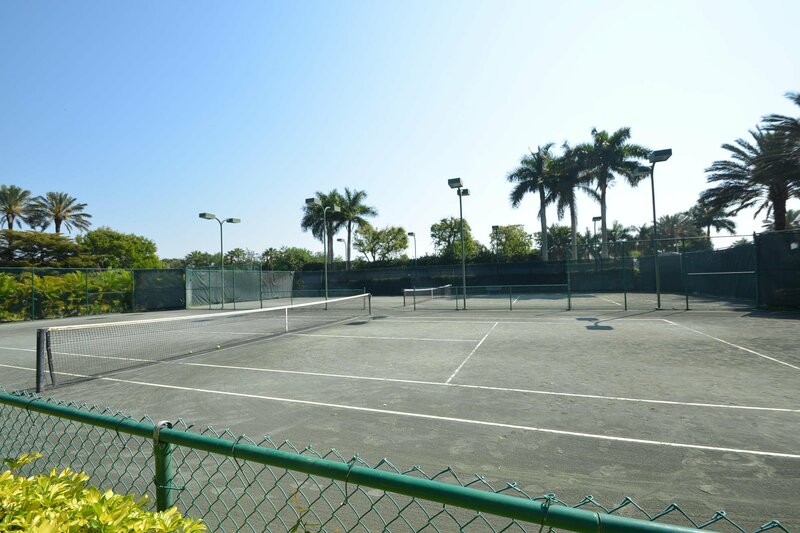 If you are looking for sweeping long lake views and gorgeous sunrises, look no further! 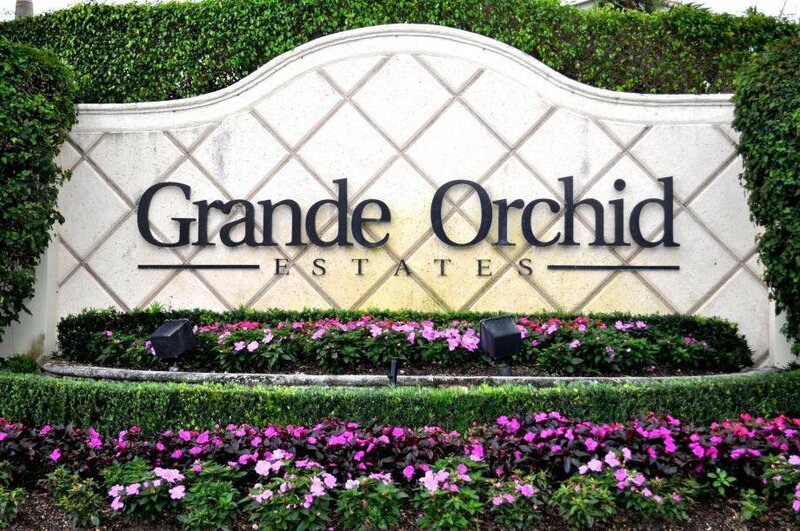 This fabulous 5 BR home sits on the most beautiful lot in Grande Orchid. When you enter the custom double door entry, you have a courtyard which is pristine and superbly appointed with marble pavers and an oversized heated rectangular pool complete with an aqua resistance system and a custom waterfall. French doors abound inside and you are dazzled upon entering the home with the seemingly endless long lake view. There are gorgeous oversized marble floors throughout all of the living areas on the first floor and crown moldings abound. The chef's kitchen has top of the line appliances, plus expansive granite counters, perfect for entertaining. The spacious master suite has 2 professionally fit out walk in closets, a large sitting area and a marble bathroom with dual sinks. Upstairs there are 3 bedrooms, 2 full baths plus a large loft overlooking the home and lake. The large guesthouse has it's own full bath. The chandeliers in the powder room, back foyer, front hall, DR and MBR are excluded. The information provided herein including but not limited to prices, measurements, square footages, lot sizes, calculations and statistics have been obtained and conveyed from third parties such as the applicable Multiple Listing Service, public records, owner, seller, as well as other sources. All information including that produced by the owner, Seller, Listing Company, or Way Past Shelter, LLC are subject to errors, omissions or changes without notice and should be independently verified by any prospect for the purchase of the Property. The owner, Seller, Listing Company, and Way Past Shelter, LLC expressly disclaim any warranty or representation regarding all information. Any prospective purchasers' use of any information is acknowledgement of this disclaimer and that the prospective purchaser shall perform their own due diligence. Prospective purchasers shall not rely on the information contained herein when entering into a contract for sale and purchase. In the event any prospective purchaser defaults, no commission(s) will be paid on the Deposits retained by the seller. "No Commissions shall be paid until Title Passes. No Commissions shall be paid unless all written offers, contracts, and addenda are delivered to Listing Company only. Copyright 2018 Way Past Shelter, LLC. All Rights Reserved.